A great example of Hollywood design with ebonized resin in the Classic swirl motif common for the era. 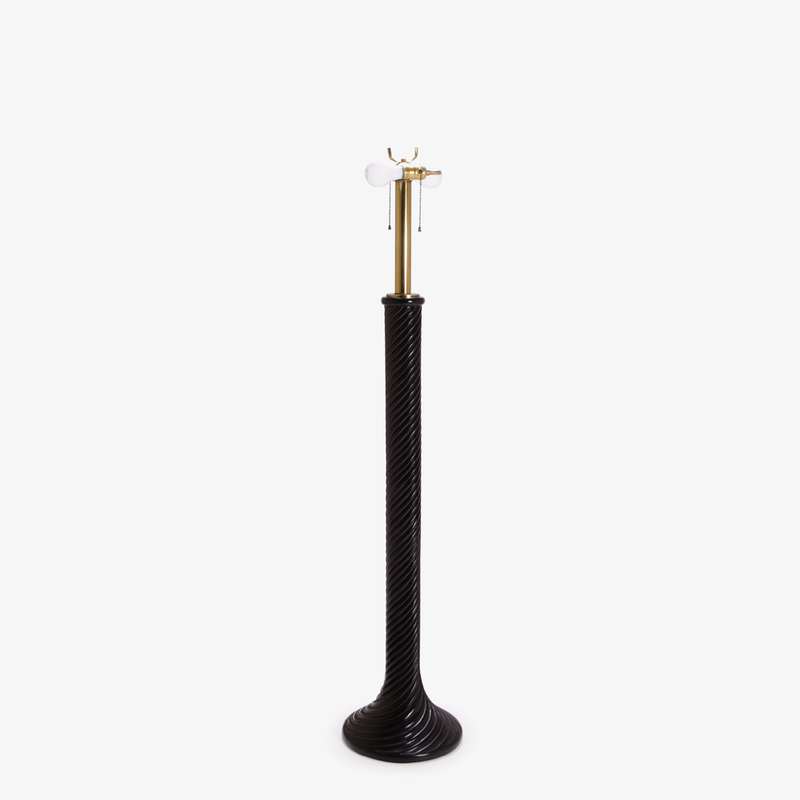 Starting from it's flared base, the floor lamp twirls upwards with its glossy ebony resin finish to meet brass hardware. 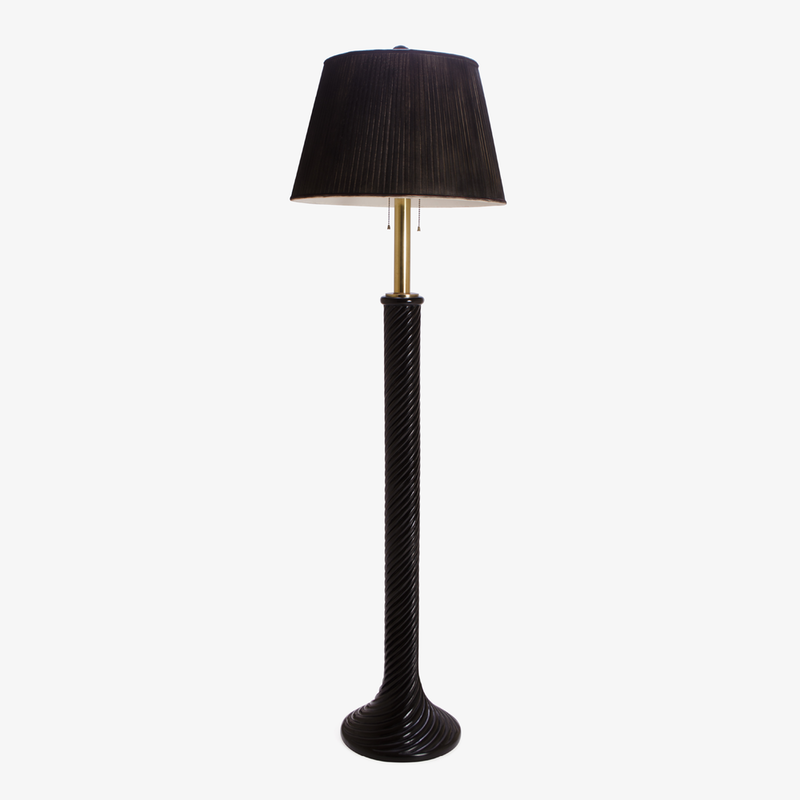 The lamp is equipped with Dual lamping powered by separate pull chains. Overall a stunning piece and a nice addition to any room or nook. Shade not included.